I am so sad to report the news that former Lead Singer Ali "Ollie" Woodson has died of Cancer in California. Ali Woodson had a long battle with Throat Cancer, once telling the story of how it came back and went away 3 times. 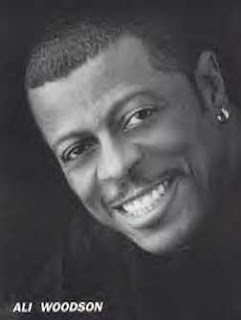 Ali "Ollie" Woodson was the lead singer of The Temptations from 1983-1996, he even wrote the hit song "Treat Her Like A Lady" for the group. That song was The Temptations biggest hit of the 80's. He also served as the lead singer for other Soul groups replacing their iconic original lead voices. Groups such as: Harold Melvin & The Blue Notes and The Drifters. In 2008 he toured with the Queen of Soul, Aretha Franklin. On a personal note: I had the pleasure and opportunity of meeting Ali Woodson. He was kind and very down to earth. He performed at a church I was a member of here in Chicago. I remember his voice being amazing and powerful., singing the Gospel classic "I Won't Complain" A capella. It was simply fantastic! As always in times like these The Fresh Music Page thoughts and prayers are with Ali "Ollie" Woodson family. They preformed at the Belleayre Mountain Concert 2 summers ago and I have his signature on my t-shirt. Hard to believe, so young to go. They were fabulous here in the NY Catskills.